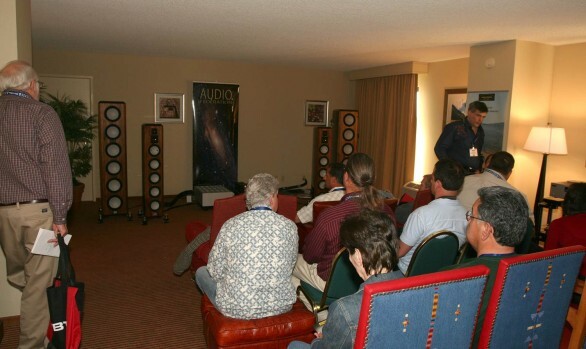 A very upbeat show, reminding me of the early days at RMAF. 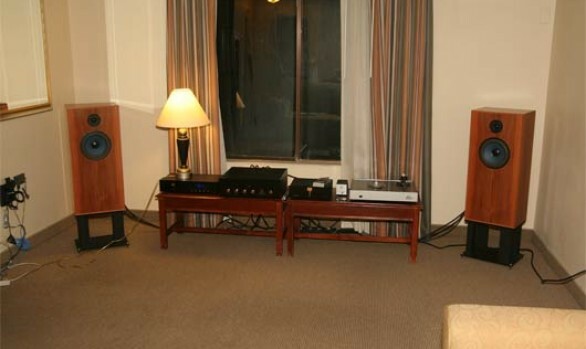 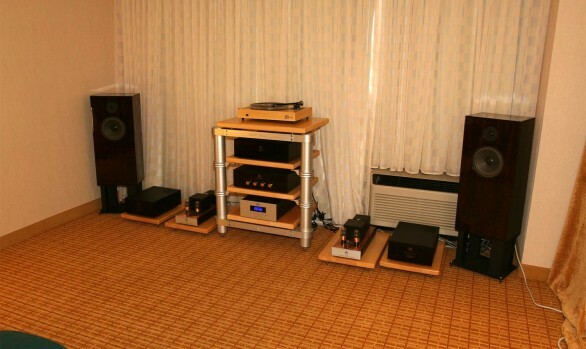 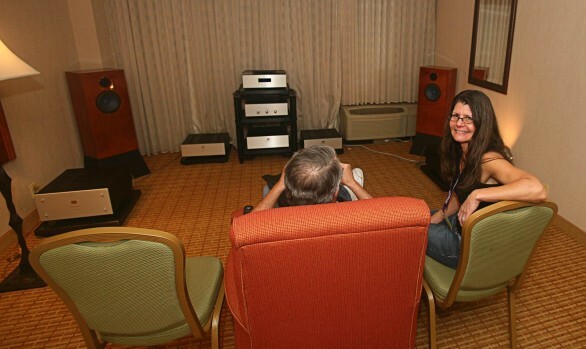 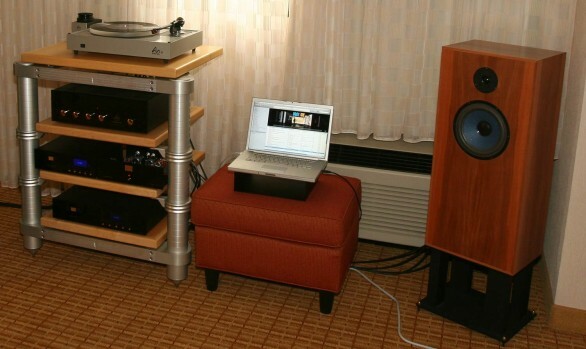 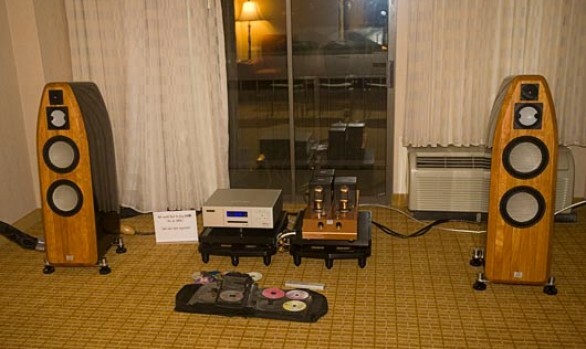 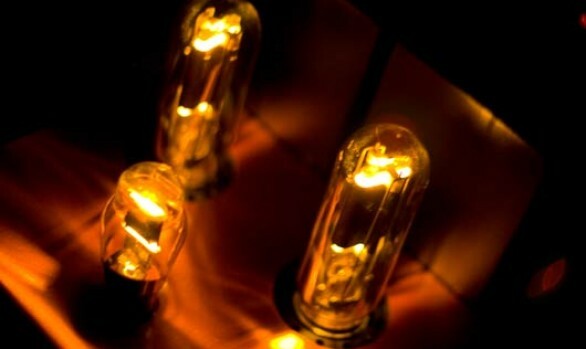 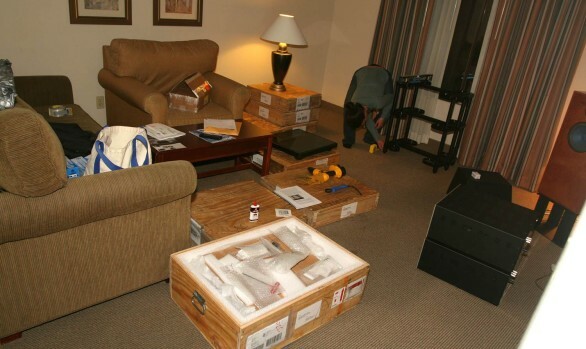 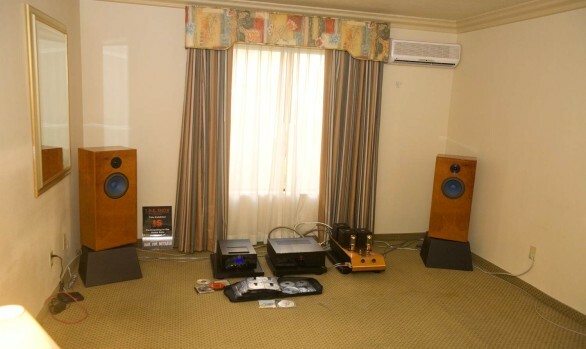 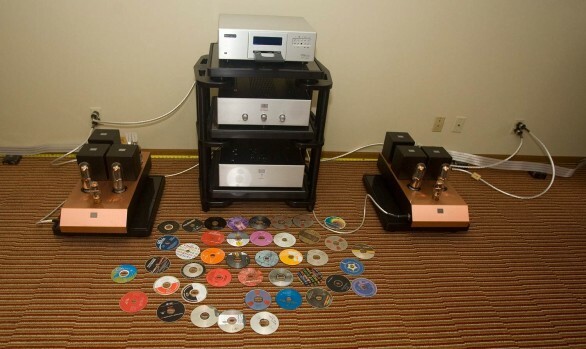 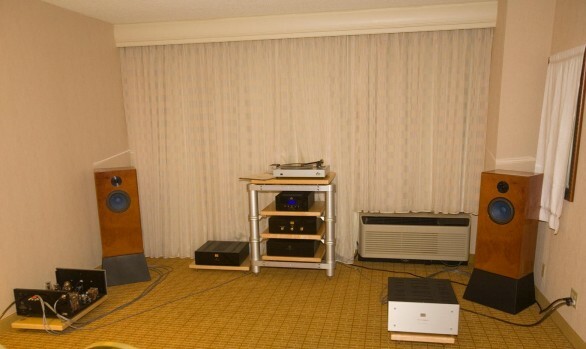 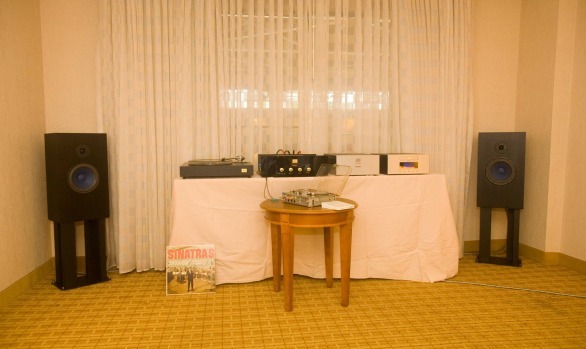 The room featured the Acapella Atlas speakers [the ones we had in our livingroom], our EmmLabs XDS1 CD / SACD player, and the new Acapella LaMusika integrated amplifier. 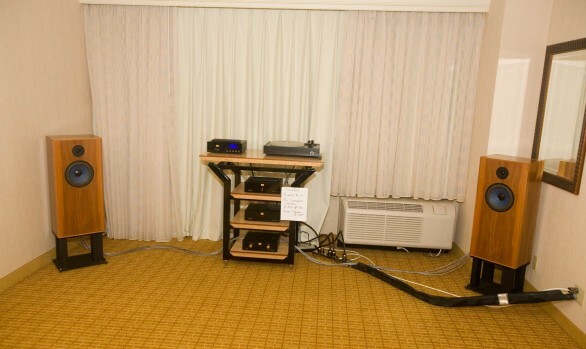 Cables were mostly Acapella cables [a Nordost ODIN power cord was on the EmmLabs player most of the time].